From an early age, Markus knew he wanted to be a hairdresser. His sister had to pay the price. Did you cut your sister’s hair? And he’s good. 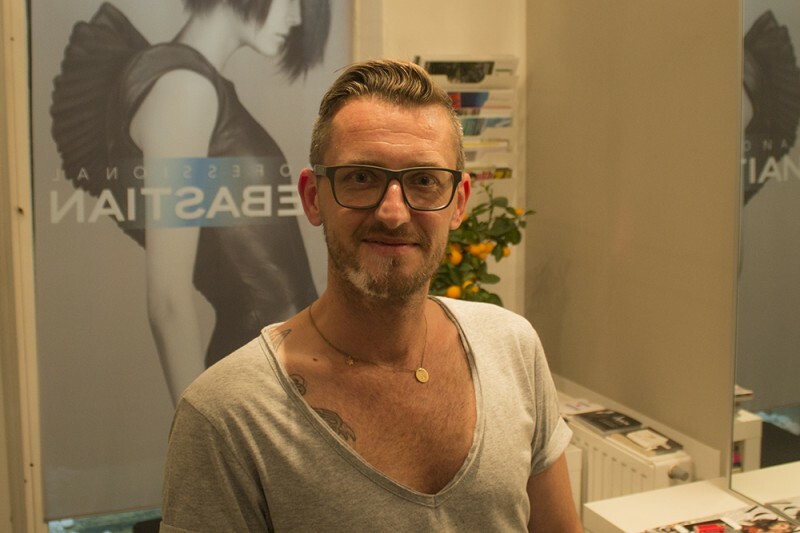 Asked about his best quality, he answers: ‘I am a super colourer, and a super stylist, but I am best at listening.’ Cutting hair is not an easy job and listening is an important part of it. ‘Every person is different. Every head, every haircut, is different. They can choose whatever they like. But you have to think for them too because it is also about fashion. Meanwhile, you also have to talk with them about everything. You have to be able to switch. And to find out what they really want. And that’s the difficult part. It’s very intimate. But how do you find out what the customer really wants? How do you help the customer? Markus is also experienced in getting people to come to his shop. Do customers come from all over or just from the neighbourhood? ‘Like Amsterdam. You see the window, you see the girl, and you go into the establishment. Like the Red Light District. But gay people are now more accepted in Austria than before, according to Markus. But what is it like to be gay in Vienna, is it accepted? Austria’s most famous gay is the bearded lady who won last year’s Eurovision Song Festival. Besides, the immigrants are not the only ones who only socialise with each other. This does not mean that Markus is against immigration. Not at all. He is especially fond of the people coming from Eastern Europe. EU citizens can live and work everywhere they want. Are there many new Eastern European people here? So, apparently, Markus thinks the EU is good idea. Markus is also proud of his country, but he nevertheless calls himself a European.